Bathroom storage can be a challenge.. 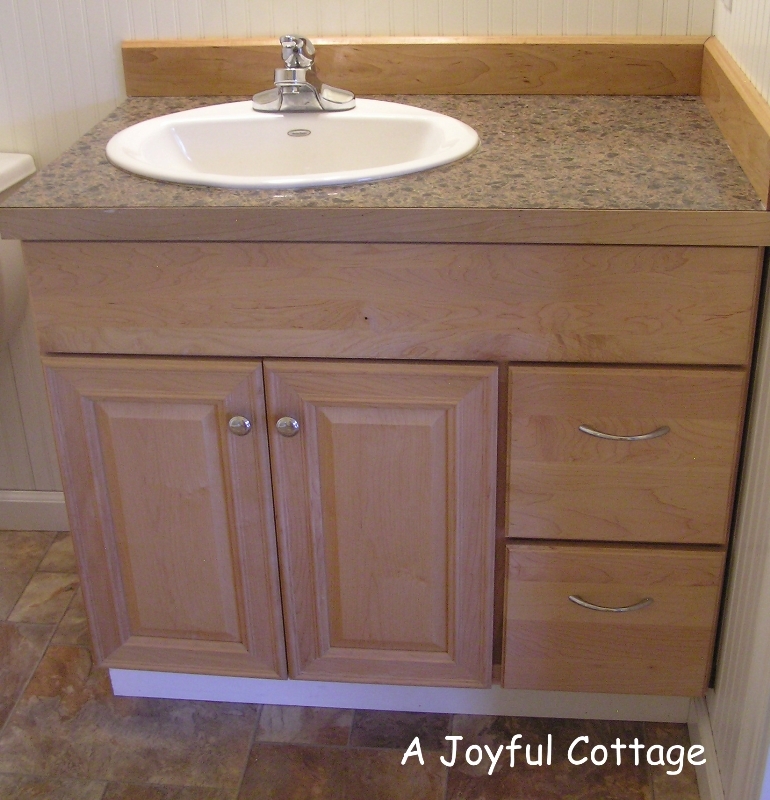 Solving the problem can range from adding a wall cabinet -- to a total bathroom remodel. That's fine if you own your home. But what if you're renters like we are, and the only storage available is two drawers in the vanity? When we moved into our apartment last July I liked our nicely fitted bathroom. It's dressed up with beadboard. It has a nice shower. But there's that only-two-drawers-in-the-vanity thing. Definitely lacking storage in this bathroom. 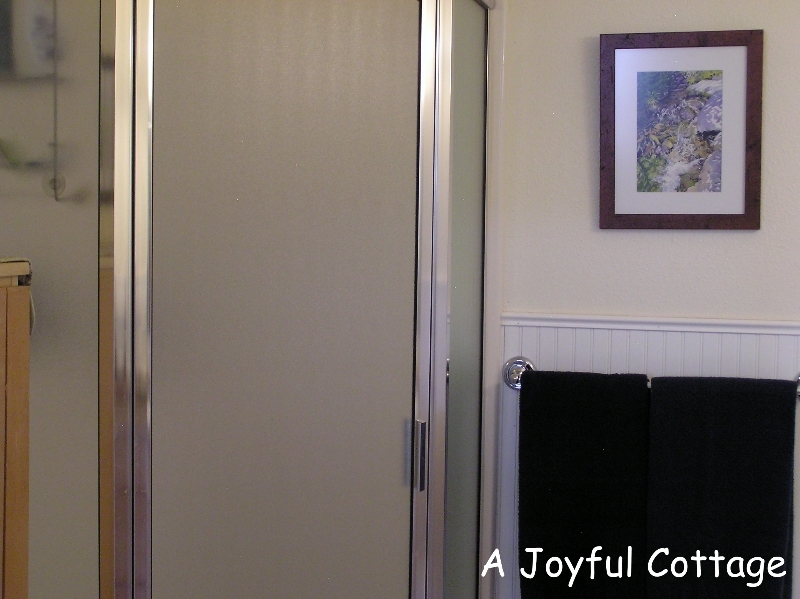 Between the shower and the entrance door is an open space. We could have placed a chest there, except that's where the heater vent was installed and it needed to remain clear. 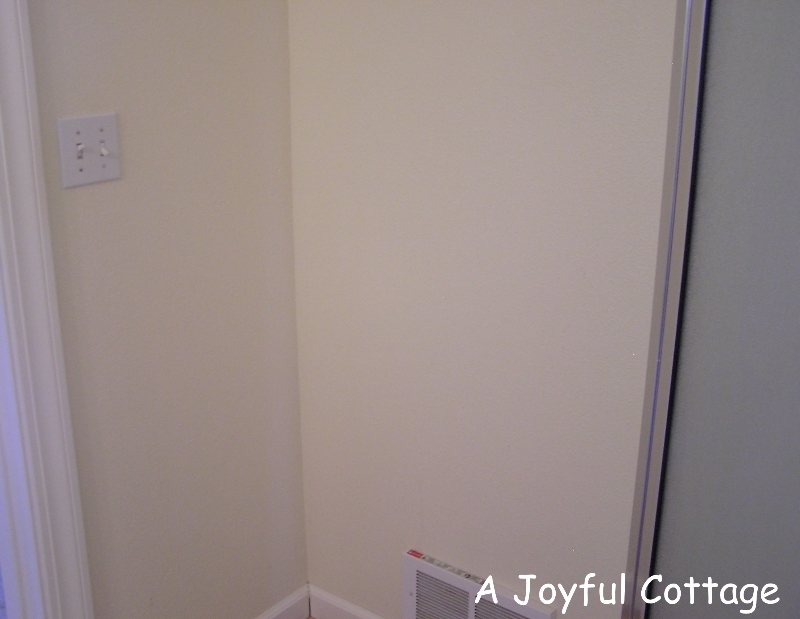 Fortunately, the heater is just above the baseboard with clearance on either side, so my very creative husband built a cupboard to fit the space and clear the heater . He picked up the pine material at the lumber yard. The doors were made from shutters we found on clearance at a local shop; we paid $10 for the pair. Interior shelves hold all our essentials and extra towels. 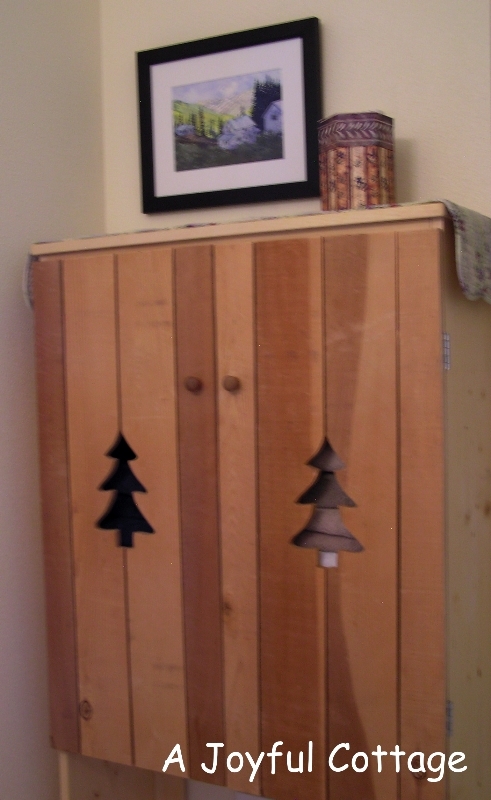 This primitive cupboard is cute and joyful. 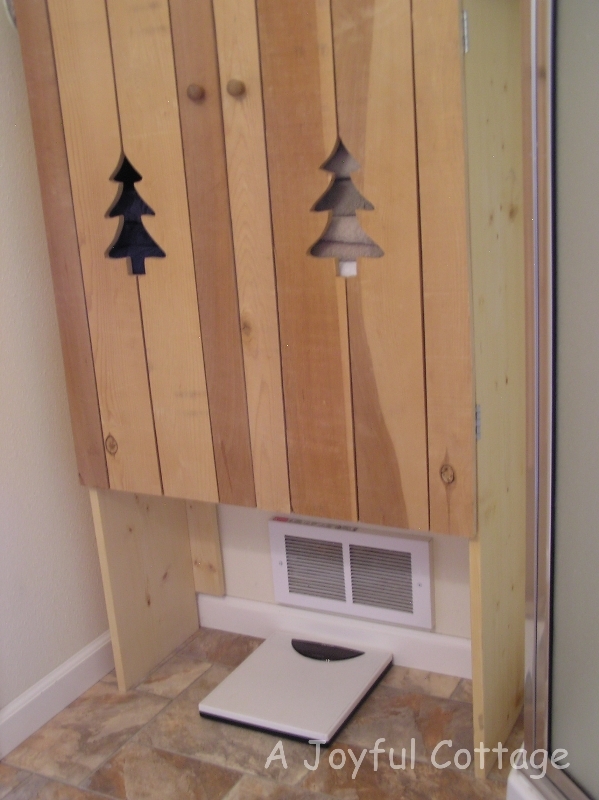 It solved our storage problem inexpensively, and Dennis says it was fun to build. 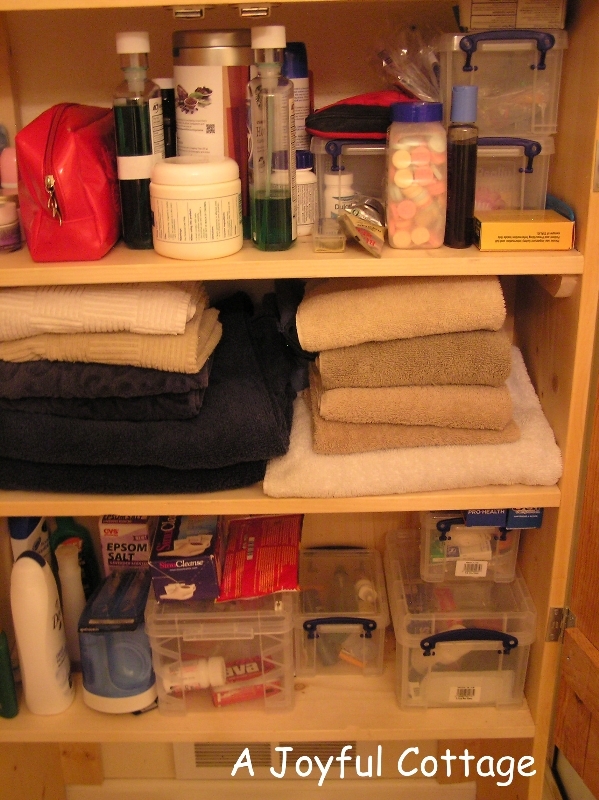 How have you solved storage solutions in your home? What a great idea!!! and so cute!!! I'd say you solved your problem of no storage in the bathroom, without disturbing the integrity of the wall. Do we ever have enough storage space? 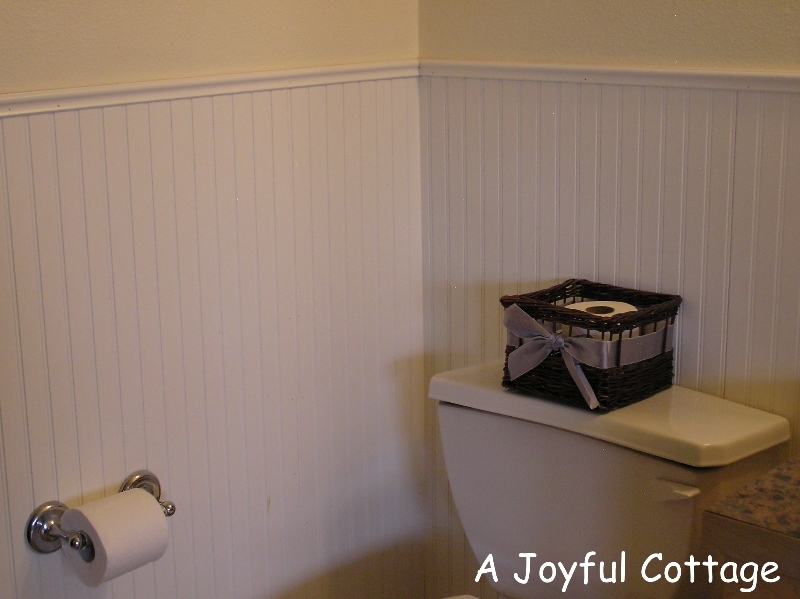 :-)) Great idea you all implemented in your bathroom, and it looks cute too! It's a great idea, I like the shutters you used for doors and I happen to be one of the few people on blogland who loves the warm and light colour of pine. I say it's perfect! I am back after a long break . . . Happy Days when hubby can solve problems! Nice work he does! That's a great solutions to your storage problem. Love the shutters and cut-outs! Thank you for sharing at What We Accomplished Wednesdays. Have a great week! Great idea Nancy! It's so pretty and added a lot of storage space. Thanks for sharing with SYC.